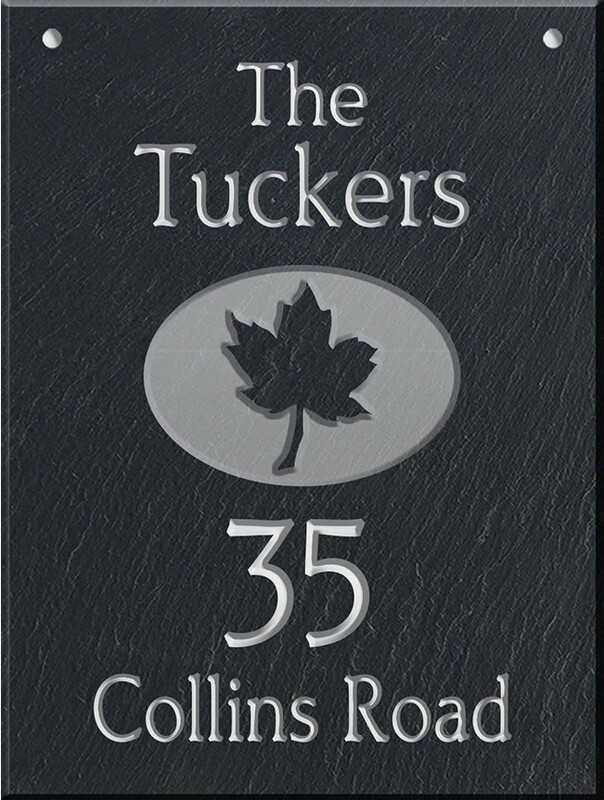 Naturally beautiful slate hanging plaque with attractive design in the center and four lines for your name and address. Made of slate that has been quarried in the USA. 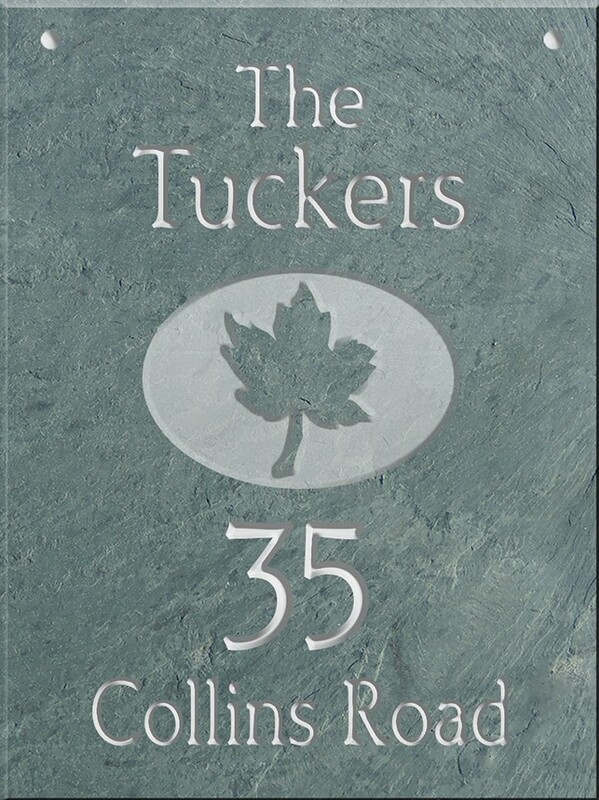 The slate is hand-cut and then is deeply carved with your name, address and design using a special sandblast technique. Then, it is painted with durable exterior enamels and clear coated for long-lasting durability. Made in USA. This is a stone that is quarried from the earth, not an artificial product. Therefore, all slates have features and color variations that give the slate its natural beauty and unique character. Click the images below the main image for all colors. 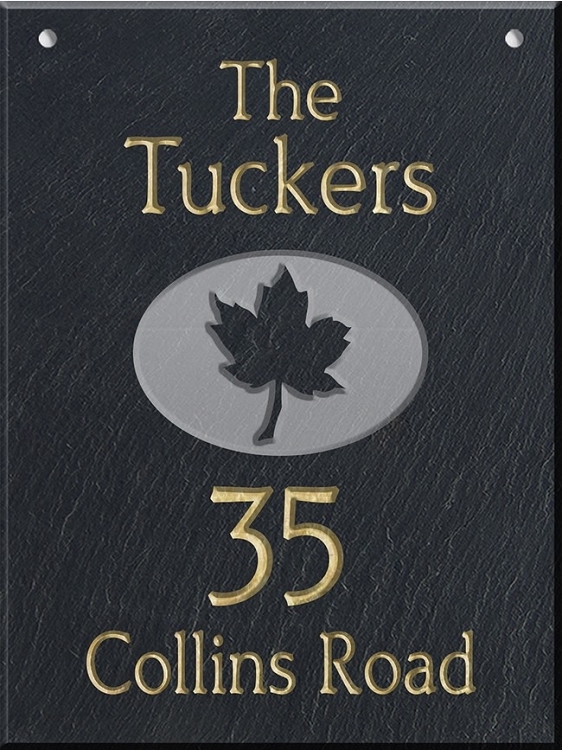 The plaque can be personalized on one side or two sides. The lettering heights below are approximate. The graphic is placed as shown in the image. - Line 1: Holds up to fifteen 1.5" characters. - Line 2: Holds up to fifteen 1.5" characters. Graphic (Shown in the image). 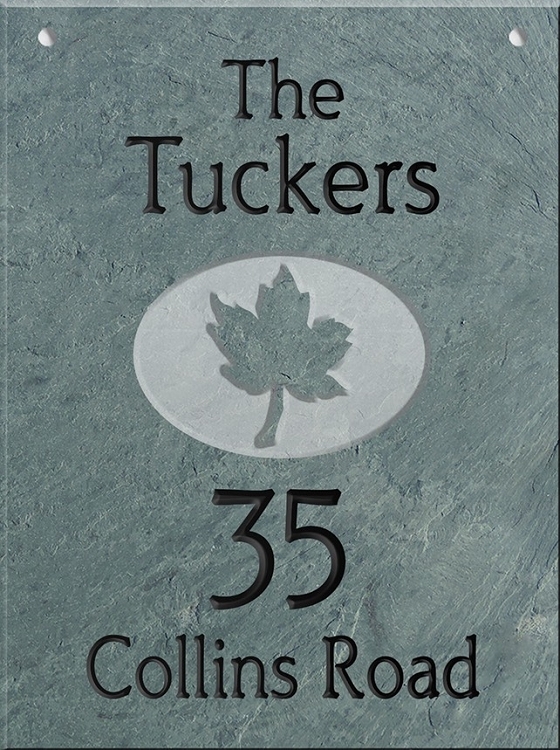 - Line 3: Holds up to five 2.5" characters. Can be mounted on the wall or hung from a bracket. The holes are 8" apart (from the hole centers). 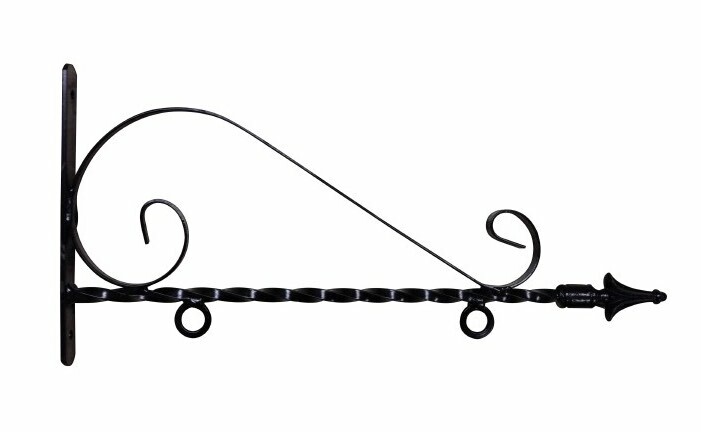 We offer brackets for hanging. Hardware for wall mounting can be obtained from local hardware stores.